Compte rendu publié dans Acta fabula : "L'histoire des contes de fée : une histoire de livres" par Cyrille François. New York : State University of New York Press, 2009. Where did Cinderella come from? Puss in Boots? Rapunzel? 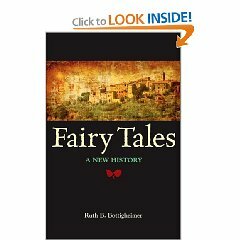 The origins offairy tales are looked at in a new way in these highly engaging pages.Conventional wisdom holds that fairy tales originated in the oraltraditions of peasants and were recorded for posterity by the BrothersGrimm during the nineteenth century. Ruth B. Bottigheimer overturnsthis view in a lively account of the origins of these well-lovedstories. Charles Perrault created Cinderella and her fairy godmother,but no countrywoman whispered this tale into Perrault's ear. Instead,his Cinderella appeared only after he had edited it from the book ofoften amoral tales published by Giambattista Basile in Naples.Distinguishing fairy tales from folktales and showing the influence ofthe medieval romance on them, Bottigheimer documents how fairy talesoriginated as urban writing for urban readers and listeners. Workingbackward from the Grimms to the earliest known sixteenth-century fairytales of the Italian Renaissance, Bottigheimer argues for a book-basedhistory of fairy tales. The first new approach to fairy tale history indecades, this book answers questions about where fairy tales came fromand how they spread, illuminating a narrative process long veiled bysurmise and assumption.